It’s not an exaggeration— these pancakes really are the best! They’re light, fluffy, and full of flavor. Having a baby definitely makes a morning person out of you. (Goodbye sleeping in, forever!) But what we’re going through right now with our toddler brings a whole new meaning to the phrase “early to rise”. We’re talking 5am, on the dot, every single morning for the last 3 months. I’m hoping it’s just a phase and I look forward to the day when he gets up at a less horrific hour, but until then, pancakes to the rescue! They have been our saving grace the last few months. 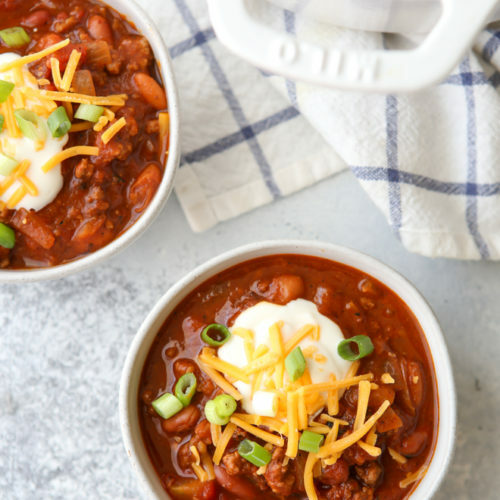 This recipe is adapted from one my husband found many years ago and we’ve been using it ever since. It’s just proved time and time again to be better than any other recipe, and any time I give another recipe a try we’re always disappointed. 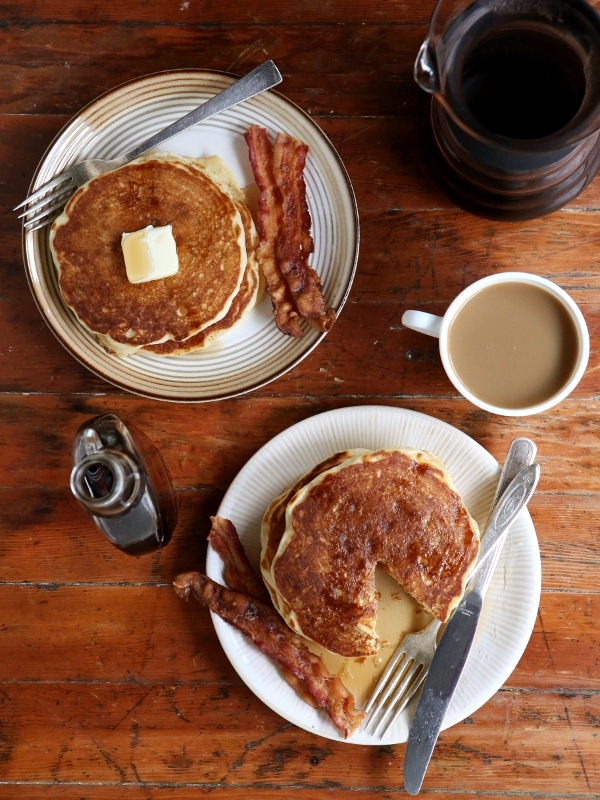 My husband isn’t much of a cook, but he has mastered these pancakes and I love when he makes them for us on lazy weekend mornings or on those days when we’re all up much earlier than we like and need a little pick-me-up. We all enjoy them a little differently— my husband goes traditional with butter and real maple syrup, the toddler gobbles them up plain, and I prefer jam and fresh fruit. Whatever you like for toppings, one thing for sure is that you’re going to love these pancakes. Give them a try this weekend and let me know what you think! 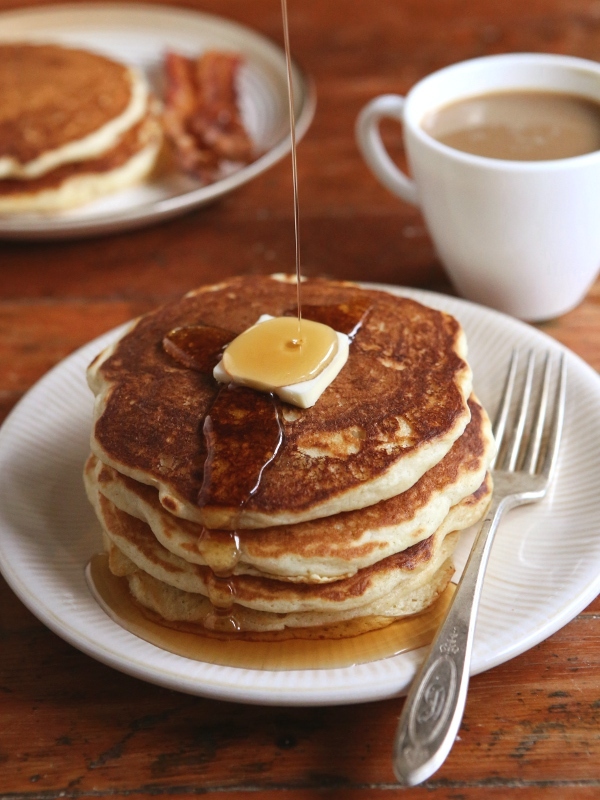 • Buttermilk is absolutely key to the flavor and rise of these pancakes. If you’re out, you can make your own in a pinch. Add 2 tablespoons lemon juice to a liquid measuring cup and add enough milk to make 2 cups. Let sit 5 minutes. 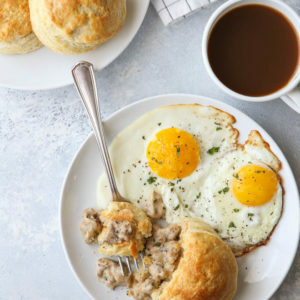 • Starting with room temperature milk and eggs will prevent the melted butter from solidifying into tiny droplets when you add it to the wet ingredients, OR you can stir in the melted butter at the very end after you’ve combined the wet and dry ingredients. 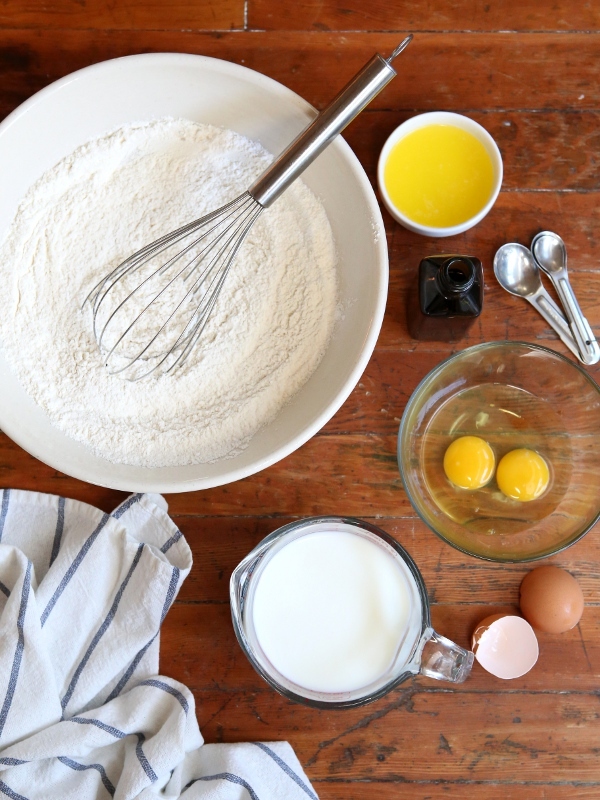 • Whisk the wet and dry ingredients only until just combined, do not over mix the batter. It’s okay if it’s a little lumpy. This will produce a more tender pancake. 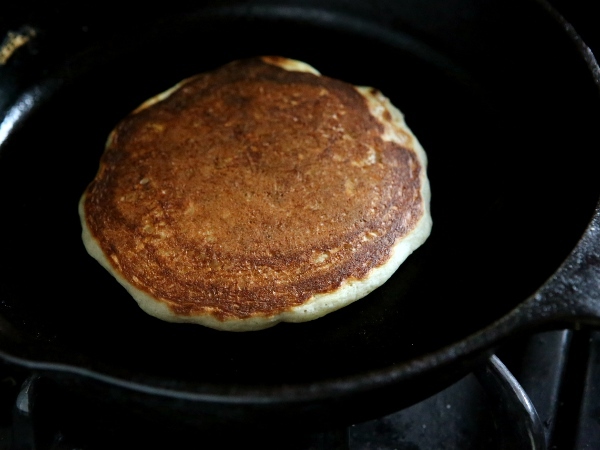 • I prefer to use a cast iron skillet for pancakes, as it creates a great golden exterior. • You can use either butter or neutral oil (vegetable oil) to grease your pan, though I prefer the flavor of butter. I grease my cast iron pan just once before cooking the pancakes, but depending on what type of pan you’re using you may need to grease more often. • To keep pancakes warm and crisp while you work, place them in a single layer on a sheet pan in a 200 degree oven. • Pancakes freeze really well! Place a sheet of parchment paper or wax paper in between each pancake inside a ziplock bag or plastic container. Store for up to 1 month. Reheat in the toaster. These are our family's favorite buttermilk pancakes. They're light, fluffy and full of flavor. Serve with maple syrup, fruit, jam, etc. In a large bowl, combine the flour, sugar, baking powder, baking soda and salt. 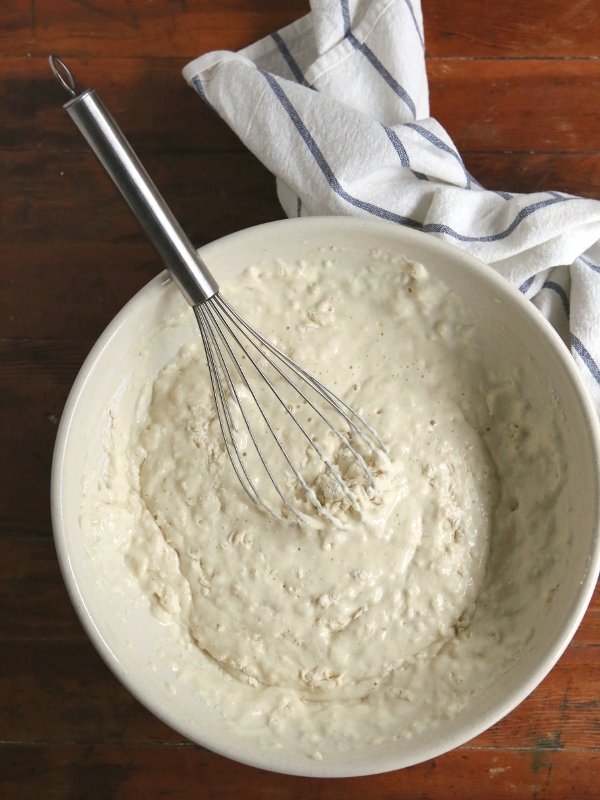 In a separate bowl, whisk together the buttermilk, eggs, vanilla and melted butter. Add to the dry ingredients and mix until just combined. Do not over mix. Preheat a skillet over medium heat and grease with butter or oil. Pour 1/4-1/2 cup of batter (depending on pan size and desired pancake size) into the pan and cook until edges appear dry and bubbles are visible on top, about 3 minutes. Flip and cook on the other side 2-3 minutes. Store leftovers in an airtight container in the fridge for up to 1 week, or freezer for up to 1 month. Reheat in the toaster. Actually my breakfast always consist of biscuits dipped in a cup of tea or toasted bread spread with a little butter. 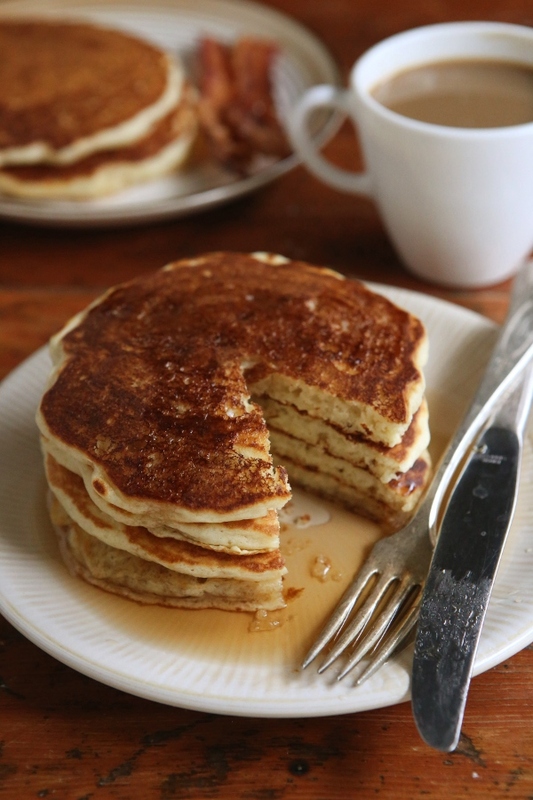 But sometimes it’s nice to break our routine and these pancakes would make for a great change! I’d go for fresh fruit and jam, too as toppings! We eat a redonkulous amount of pancakes in this house..like 3-4 times a week. My two boys will eat them for every meal if I allow! I have been trying new recipes every time searching for the best one! I am so excited to try these with my family this weekend! Goodluck with the 5am wakeup calls..my kids have been doing that to lately! I feel yah! I have no problem believing these are the best pancakes ever!! And I’m totally a peanut butter and syrup girl… but traditional suits me just fine, too. What a coincidence, I just posted over on my blog about the best buttermilk BISCUITS! Great minds think alike! Looks like everyone’s in the mood for some delicious breakfast. 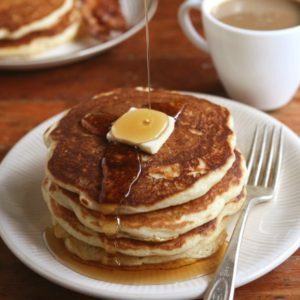 I am officially craving a giant stack of pancakes! I agree. The Best. I love buttermilk in almost anything! Have you ever mixed it with orange juice? Like as a beverage? I have not, but going to give it a try now! We freeze pancakes quite often! I’ll have to try this recipe! I’ve been wanting a good buttermilk pancake recipe. Can’t wait to try this one! 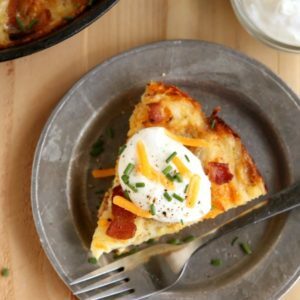 This is the kind of breakfast my family loves the most! just tried these and yes! They are the best pancakes ever! Completely delicious! These were FANTASTIC. They compare to the Perkins buttermilk pancakes which are one of the best out there in my opinion. I’m so glad to have tried this!! So happy to hear you enjoyed the pancakes! Thanks for the comment! I had no idea I could freeze pancakes! This will come in handy because I always make extras. Thanks! Thank you again, I can now end my search on the web and pass this one down in my families recipe box .. I can’t believe I found a recipe that truly makes my mouth water. I’ve been going out to all these places that make pancakes better than mine, but now I can make them just as good as they can. 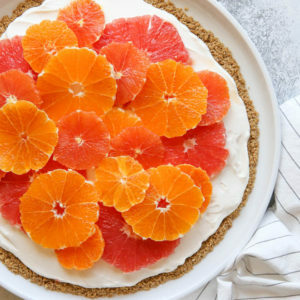 Thank you for posting this amazing recipe! Thanks so much! I’m so happy to hear you love these pancakes as much as we do. They’re the best! Hi! This looks amazing! I wad wondering if i could cook the batter on a hot pan instead of in the oven? I dont have a cast iron skillet. Thank u! I cook mine on an electric griddle. These are the BEST….the only ones I make now…..you won’t regret….